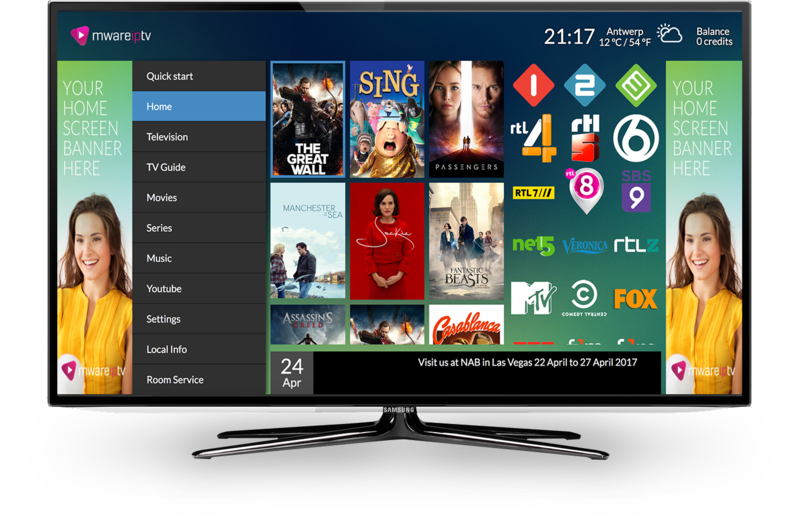 Our next-generation OTT Middleware Solution radically simplifies the effort in setting up your OTT service. Because the platform resides in the Mware CloudTV it offers an end-2-end workflow to manage your service entirely in a web-browser from any device anywhere in the world. The OTT Middleware Solution lets you manage you content create customers give support manage your products and run ad campaigns next to that choose from a vast collection of user interface templates to create and design your own unique service and to top it of Mware IQ gives you detailed information on your service. In the flowchart below you can see who the OTT Middleware Solution fits into our total end-2-end ecosystem and how the other elements such as Transcoding, Protection, Content Delivery and User Interface fit into to the total package. Mware CloudTV for Operators is the ideal OTT Middleware Solution for Starting Operators, Single Service Operators or Operators who already have a customer base on another Middleware Solution and are ready to scale up to a Telco grade platform at the fraction of the price. Mware CloudTV for Enterprises is the ideal OTT Middleware Solution for Broadcasters, Telco’s, System Integrators, NVNE’s, Startups that want to roll out big, Multi Service Operators or Operators who already have a larger customer base on another Middleware Solution and are ready to scale up to a telco grade platform at the fraction of the price. In today’s market offering your content to various devices next to a Set-top-box is mandatory to full-fill the customers needs. And next to that customers expect a stunning, fluent and fast user experience that offers an easy to learn and easy to use interface. Our User Interfaces have a unified look and feel across the various devices this makes it effortless to make the transition from for example Set-top box to an Apple iPad. Press the link below to see Akua in action. Press the link below to see Hiaka in action. Press the link below to see Honua in action.